Becoming a World Champion in a wrestling promotion is a huge deal. While the WWE's importance on titles may have waned due to some poor booking decisions, there is no doubt that the WWE Championship and the WWE Universal Championship both play integral roles in the functioning of the business. But, not just anyone can be a World Champion early on in their WWE careers. We do have stories like AJ Styles coming into the company and winning the WWE title in his first year, but these are few and far between. Current WWE Champion, Jinder Mahal, for instance, had to wait 2214 days for his big break and he doesn't even make this list! When a guy goes by the nickname of The World's Strongest Man, you expect him to have won some World Titles throughout the length of his career. 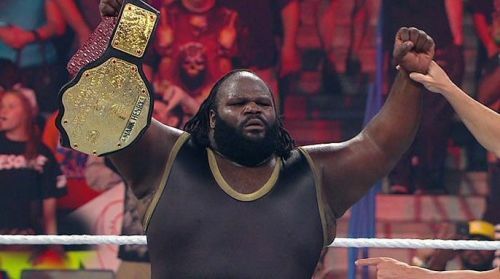 Unfortunately, this was not the case for Mark Henry as he had to wait nearly 12 years for his first World Championship in the WWE. Being one of Undertaker's former WrestleMania opponents and a long-time employee, one would think that WWE would have given him the world title sooner. Now he's retired at 2017. The big man enjoyed his most successful run towards the end of his career and it's a shame that he wasn't given a bigger chance during his younger days.